California Suite is a beautiful, large room located upstairs with king-size tempurpedic bed, a spacious sitting room and private bath. $262/ night. 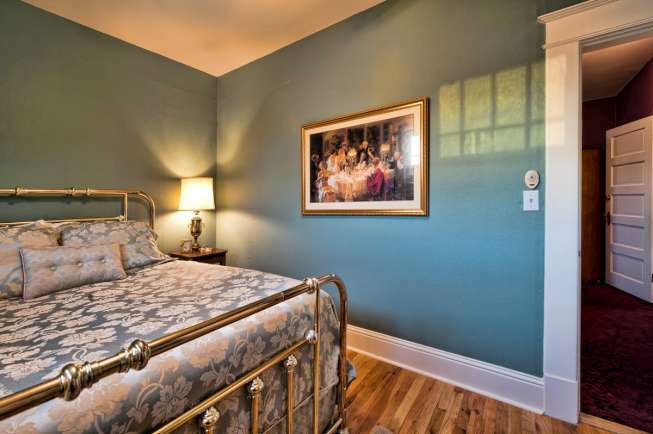 Extra sleeping in the Brooklyn Heights bonus room with two single beds. Take a photo tour: click on the title to view more photos/info. 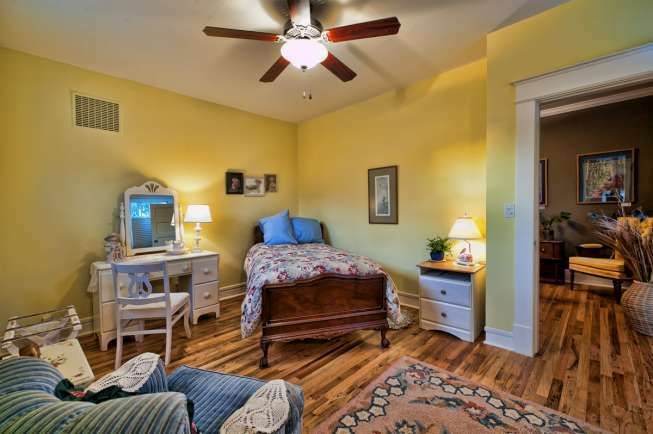 Upstairs suite with sitting room, separate bedroom with queen size bed, and private bath with shower. $187/night. Take a photo tour: click on room title to view more photos /info. Upstairs bonus room, available as extra sleeping accommodation to guests in our upstairs suites. One twin bed in the main area; an alcove with another bed. $60/night – single occupant, $120/night – two occupants.